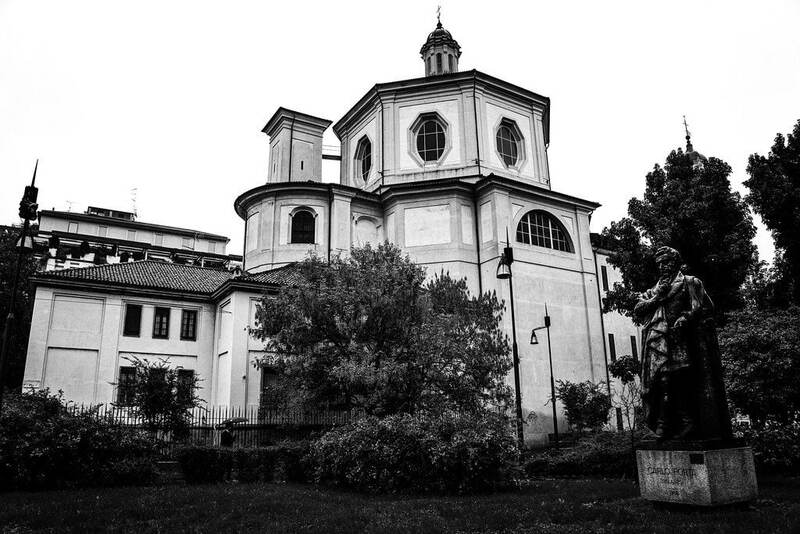 San Bernardino alle Ossa is a creepy church in Milan decorated with human skulls. 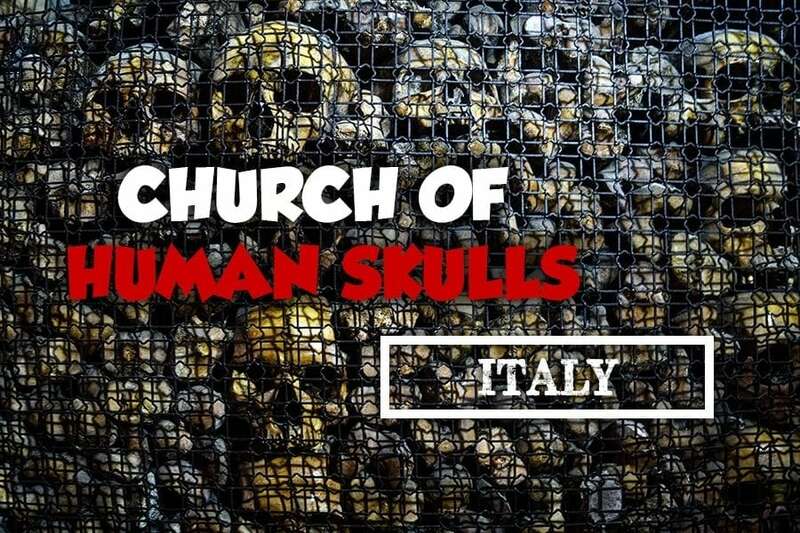 However this Italian bone church has an interesting history. 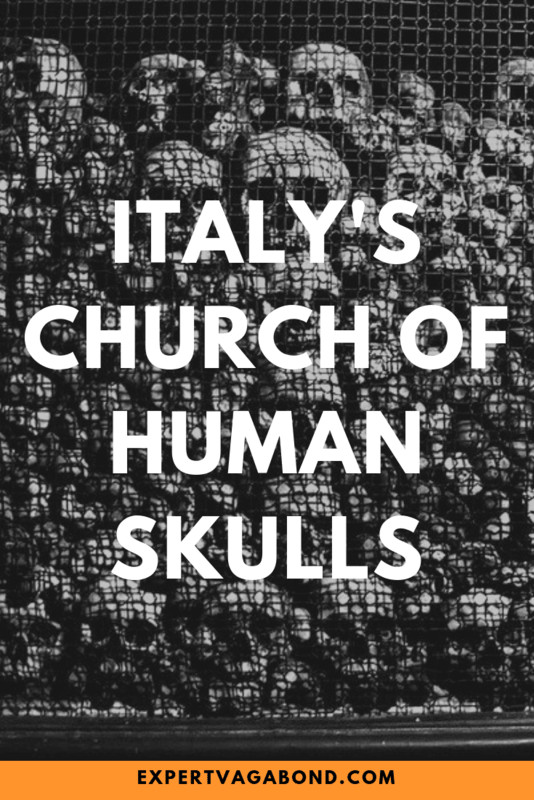 While basing myself in Milan to explore Northern Italy by train, I’d heard rumors of a strange Catholic church hidden away in the center of the city, completely decorated with human remains. 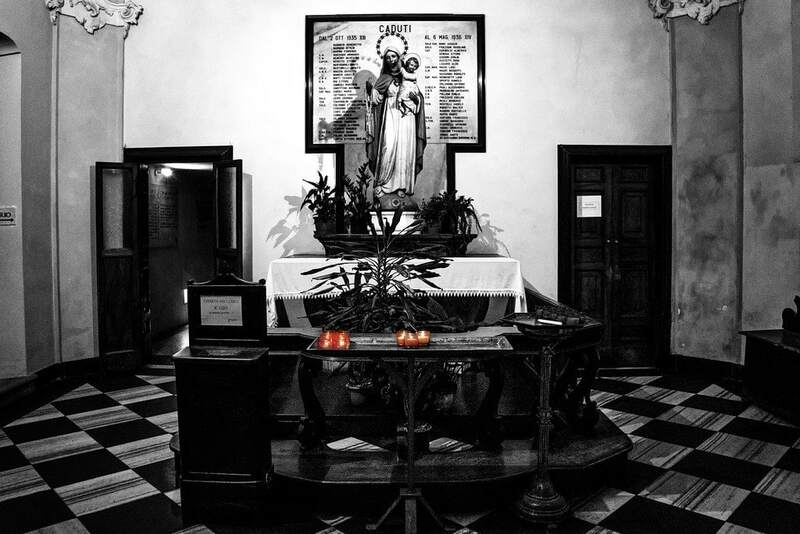 It’s called San Bernardino alle Ossa, aka “The Bone Church”. Apparently back in the 13th century a local cemetery found itself running out of room. Fresh bodies from the nearby hospital were piling up — with nowhere to bury them. So officials began to dig up old skeletons, moving them from the cemetery to a small chamber. Eventually a church was built next to the bone room, probably because they felt a bit guilty. 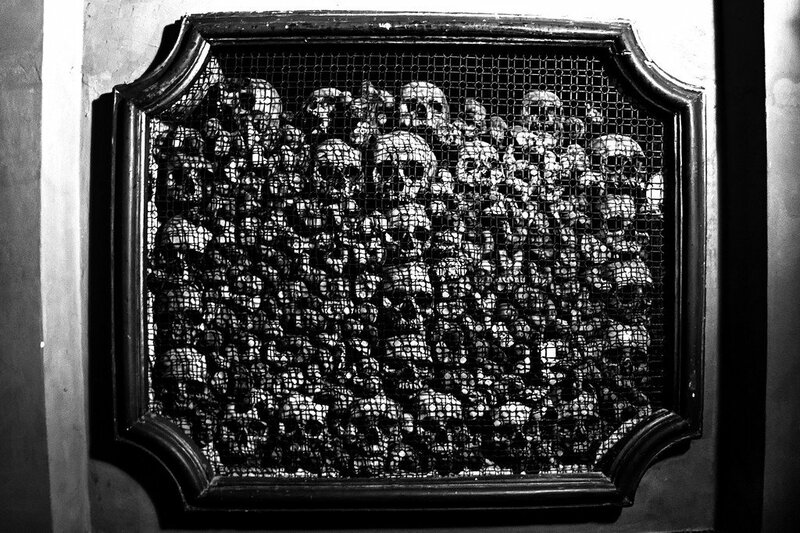 Today San Bernardino alle Ossa has a small side chapel filled with hundreds of these human skulls & other bones from the middle ages. 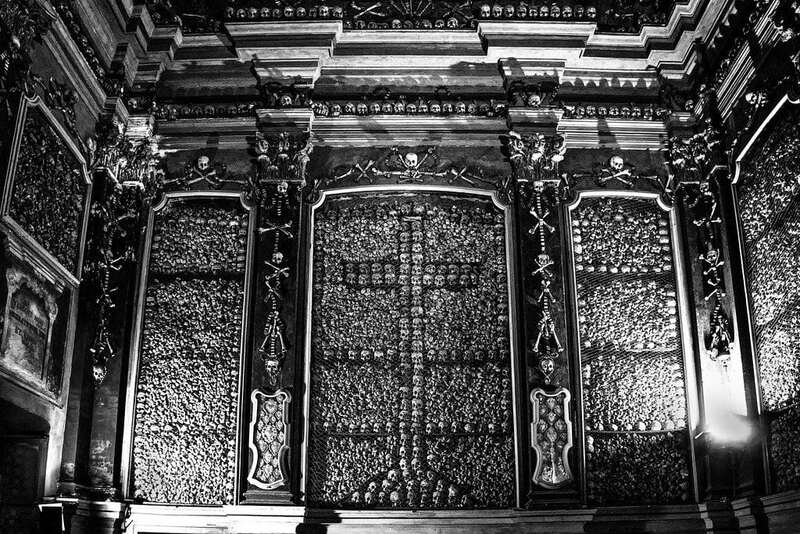 If you’re curious, you can visit the ossuary and see them for yourself. Like I did. When you walk through the front door, look right and you’ll see an altar between two doors. The left door leads down a long & dark hallway to the bone room. 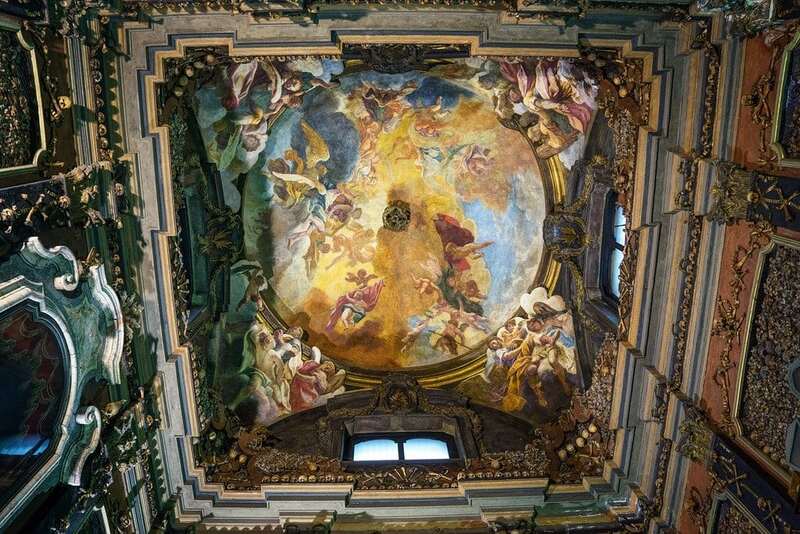 It’s small, but with a high vaulted ceiling painted with beautiful frescos by the artist Sebastiano Ricci. The walls are slightly morbid though. 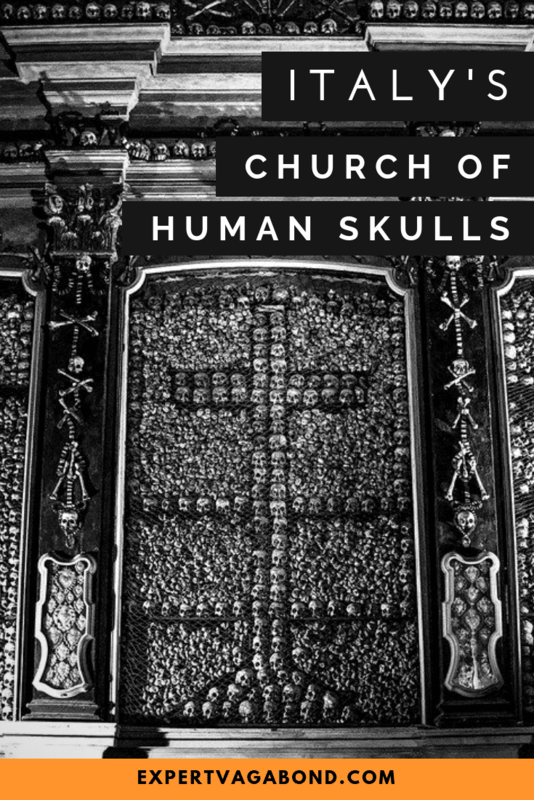 Human skulls & femurs are stacked up behind wire mesh to form crosses. They’re attached to pillars and doors in all sorts of different designs & patterns, completely covering the room. 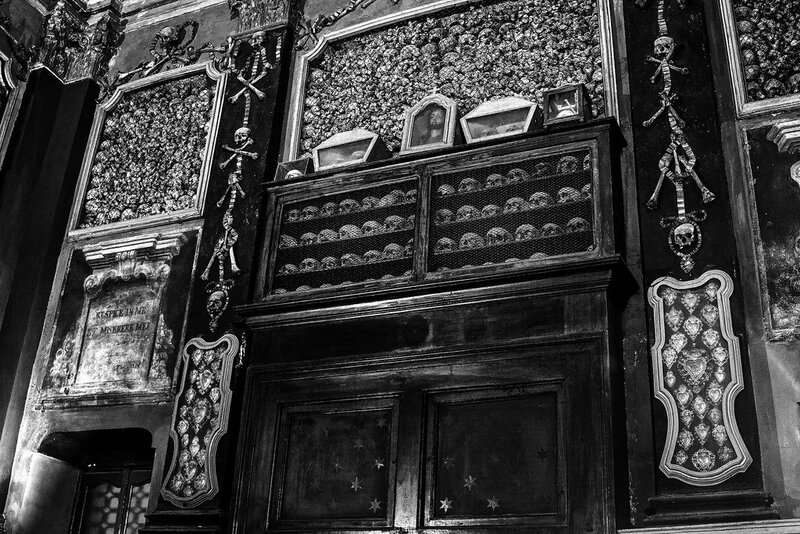 Most of the human remains here are from the overflowing cemetery or hospital patients that didn’t make it (a frequent occurrence in the Middle Ages), however there is a special case over the back doors full of skulls from criminals who were beheaded for their crimes. Above the center altar, a statue of the Virgin Mary (or Queen of Heaven) stands encased in glass, surrounded by bones. Do you enjoy visiting unusual attractions like this? 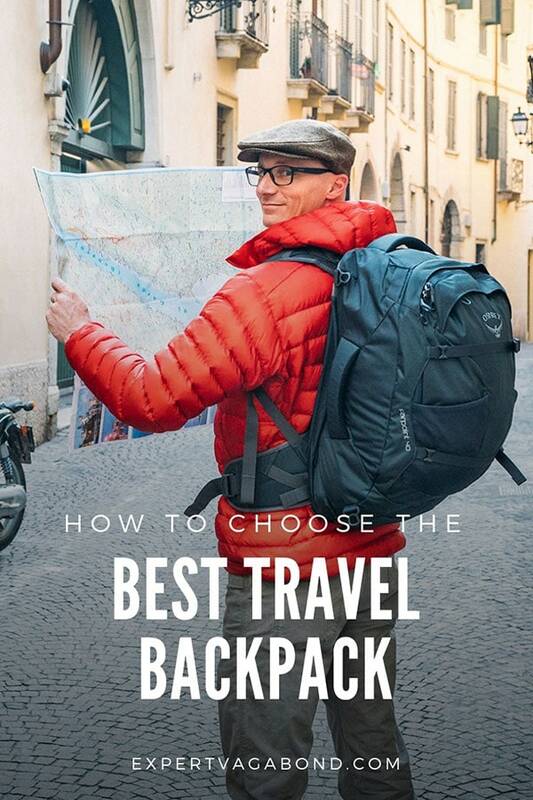 #Blogville is made possible in partnership with Lombardy Tourism, Emilia Romagna Tourism, and iAmbassador. Content & opinions expressed here are entirely my own.